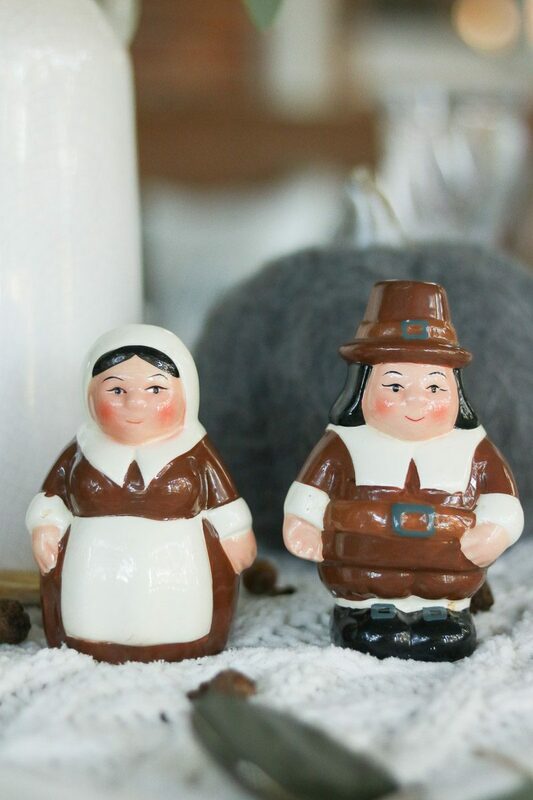 Hygge Thanksgiving table decorations that will bring friends and family together for all the right reasons is what this weeks post is all about. 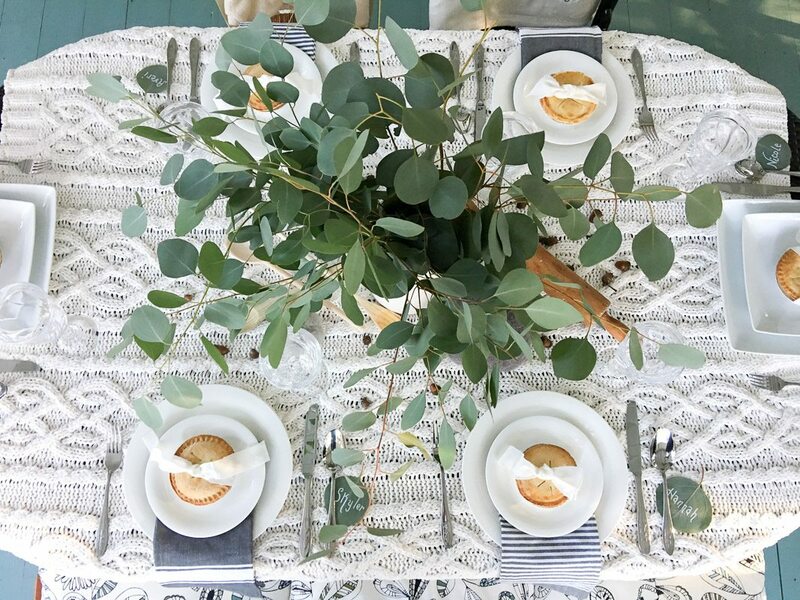 There is so much more than just the decorations so join me as we venture into some table inspiration that hopefully will warm all your guest’s hearts this season. 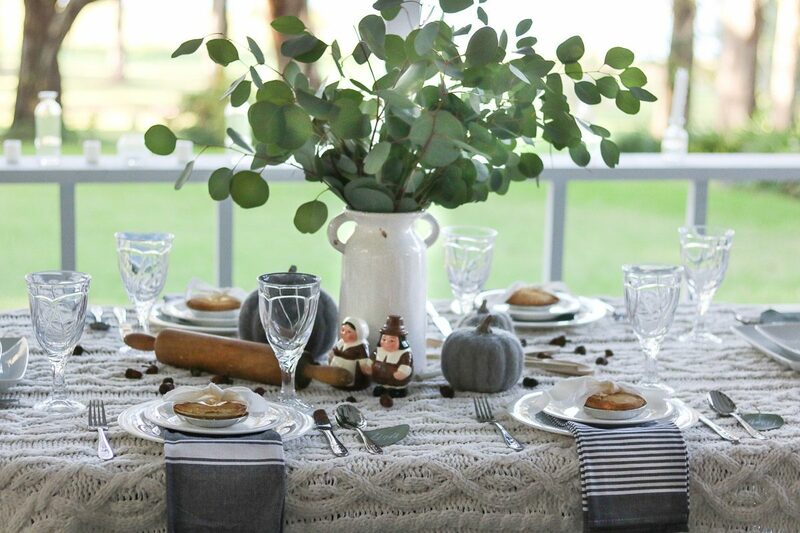 This year give your dining space a hygge Thanksgiving table design. Many times we focus on the decorations and food, and we forget about how the whole evening will make people feel. So for this holiday season, we decided to take your designing to a whole new level and introduce you to creating a style with a feeling too. 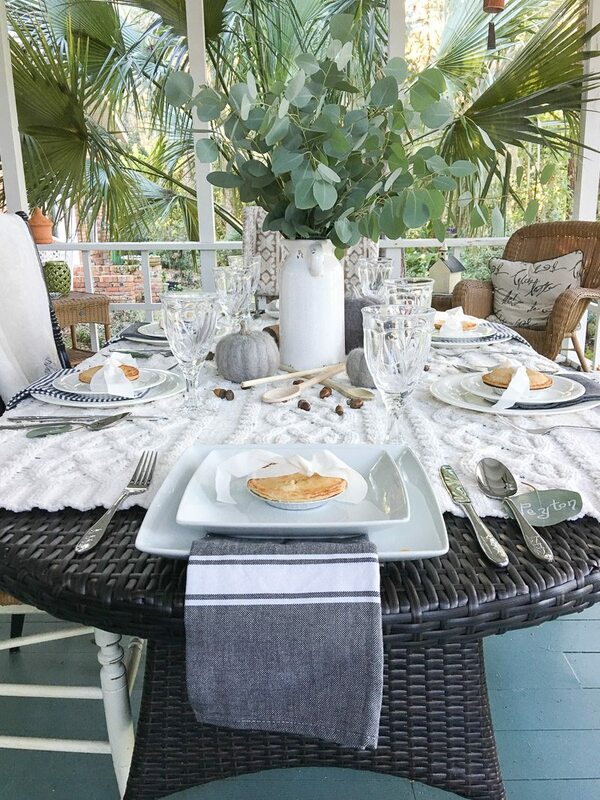 There are so many ideas rolling around on Pinterest but what makes this table different is that it goes a little deeper than just your ordinary table decor. Our goal was to create a hygge feeling which is a Danish word that doesn’t have a translation in the English language. It is a feeling or mood where a guest can enjoy life’s simple pleasures. Can you imagine eating dinner at a warm, comfortable and inviting table with friends and family? If so let’s look at the table that is just the beginning of a relaxing casual evening. When we started thinking about this evening and having a hygge feeling, we thought of anything that felt or seemed cozy. What says warmth like a sweater, so we shopped for a sweater blanket to use as the tablecloth. The texture makes a fantastic background to build on. 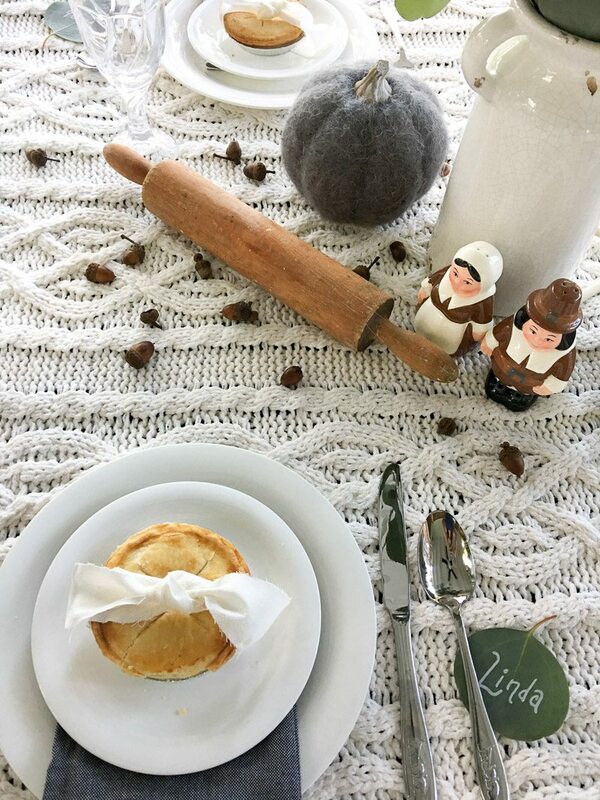 In addition to finding ways to warm the hearts of our guest, we couldn’t resist adding a tiny pie to each place setting. It has Thanksgiving written all over it. 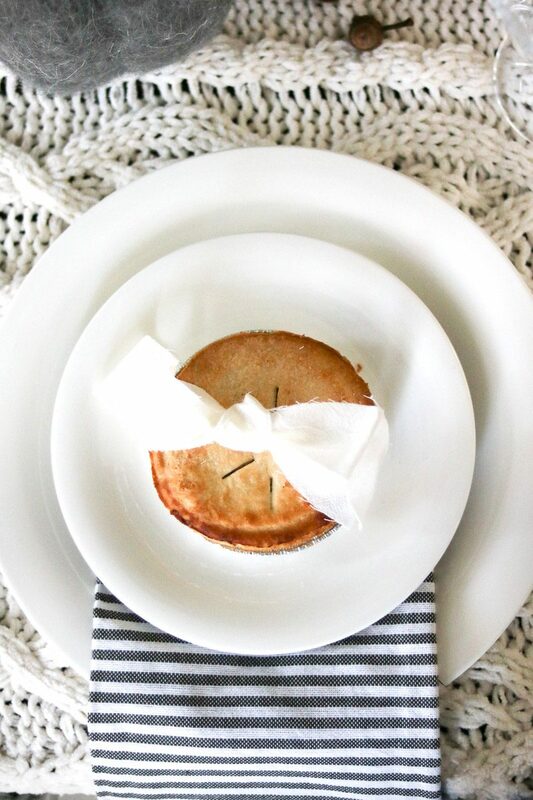 To add a decorative detail to the pie, we cut some sackcloth material and tied it into a sailors knot on top. Place it on a pure white dessert plate and voila you are finished with your unique decorative element, and you have dessert solved too. Then instead of a traditional cloth napkin, we selected some kitchen towels instead. It was just the little bit of color this table needed. But wait til you see the silverware and place card, or leaf in this case. You know details make a whole design and here is one feature that polishes the look. Check out the turkeys on the silverware. Doesn’t that just make you giggle or gobble in some cases? LOL! Okay, enough with these corny jokes. Now, look at the place card. 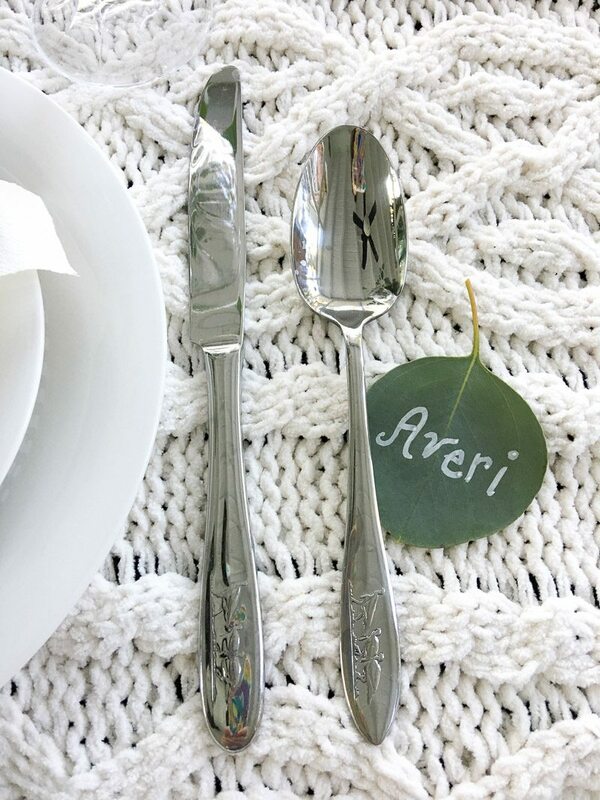 It is just about the easiest cheapest place card ever because it is a leaf from the centerpiece and has each person name written with a chalk pen. 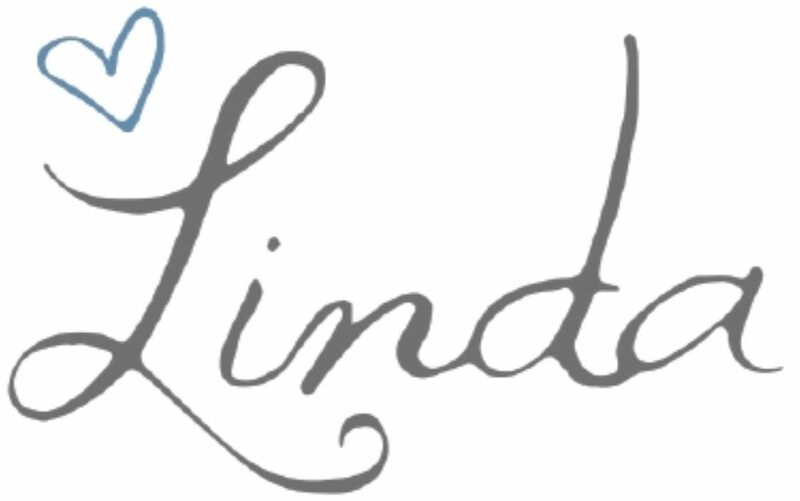 Simple and cute all wrapped up in one. One crucial aspect of creating a hygge thanksgiving table is the centerpiece. It’s important that your table designs are simple and easy so you aren’t overwhelmed and exhausted before your guest arrive. So to keep that trend pick up some eucalyptus from the grocery store and a white vase. Then there is the fun part looking through your kitchen for anything that is old and maybe has some history. In our case, we used an old 1800’s rolling pin that has been handed down for generations. 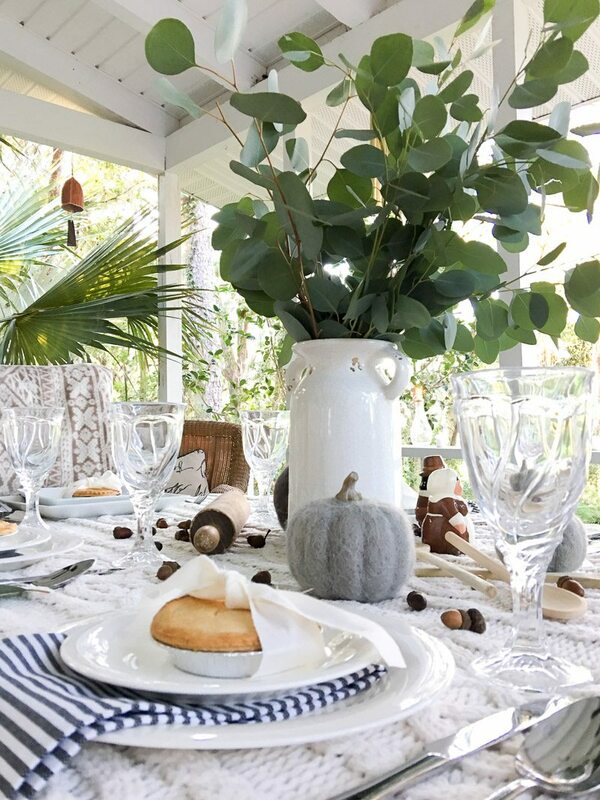 And then added traditional Publix pilgrim salt and pepper shaker, some beautifully worn wooden spoons, a sprinkle of real acorns and some borrowed wool pumpkins in our case. 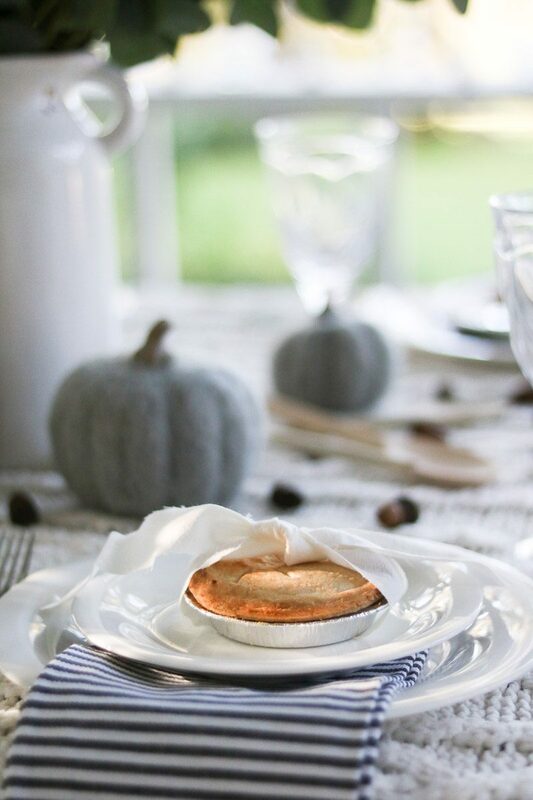 And don’t forget to add those tiny pies to each place setting. 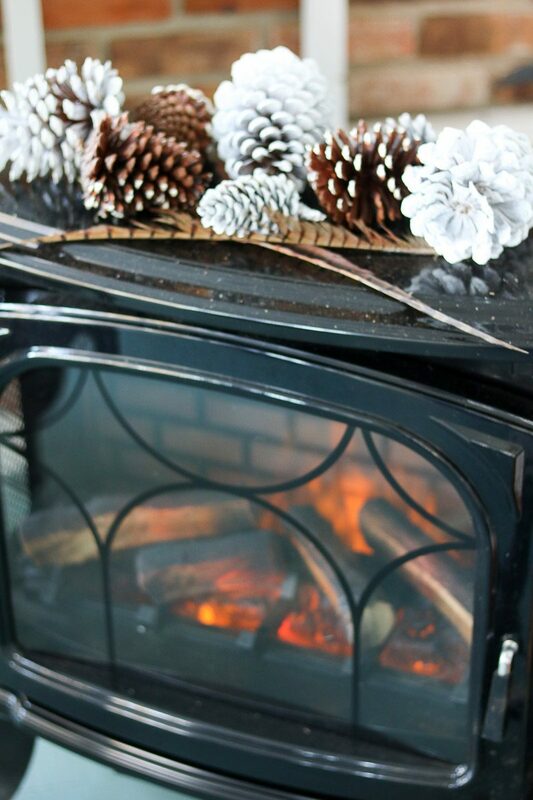 Everything is starting to look cozy, warm and delicious! Since we are going for casual, comfy and cozy then we thought pillows, blankets and mismatched chairs would be just the ticket. 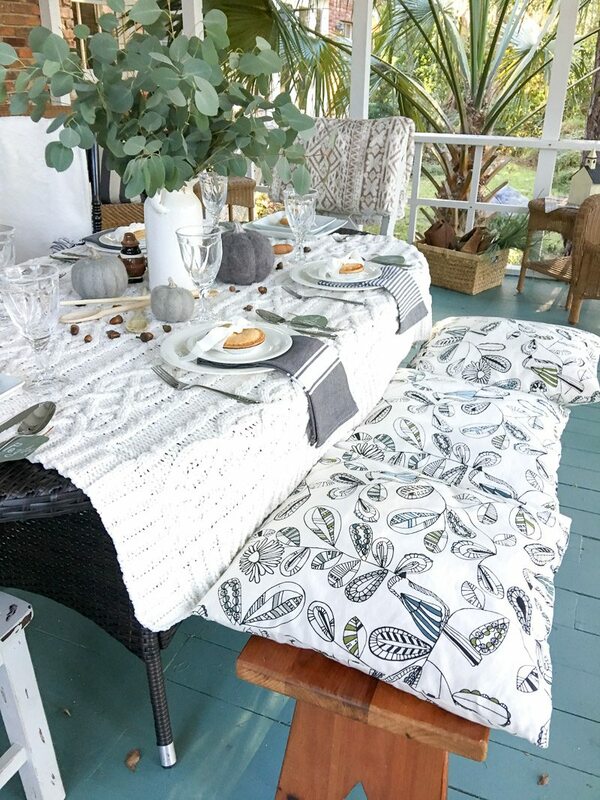 We simply used an existing table from outside added a wooden bench with some soft pillows and then added some blankets for guest on the back of the chairs. 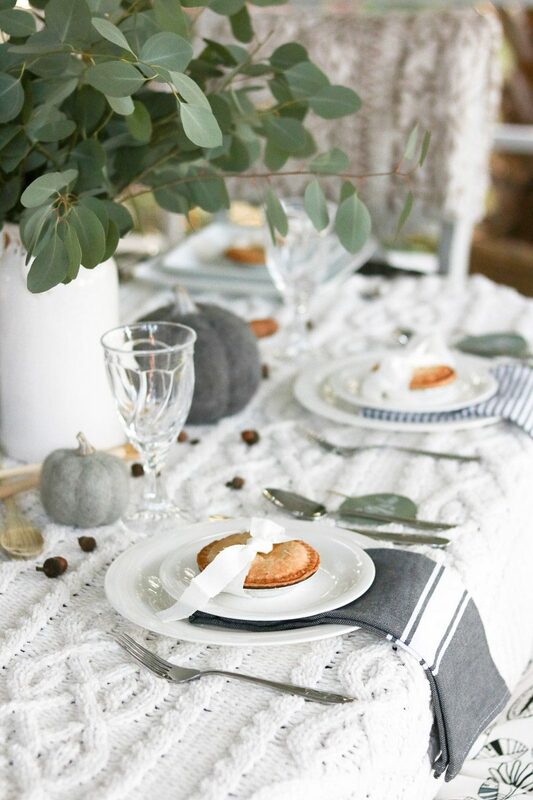 Remember our focus is a hygge thanksgiving table. Well, we cannot ignore the rest of the space so we added more warmth around the room. Check out these ideas to finish your look. What says warmth like a fireplace? But what if you don’t already have a fireplace then try an electric one for size. This not only created heat but it gave that warm glow that defines that danish feeling. 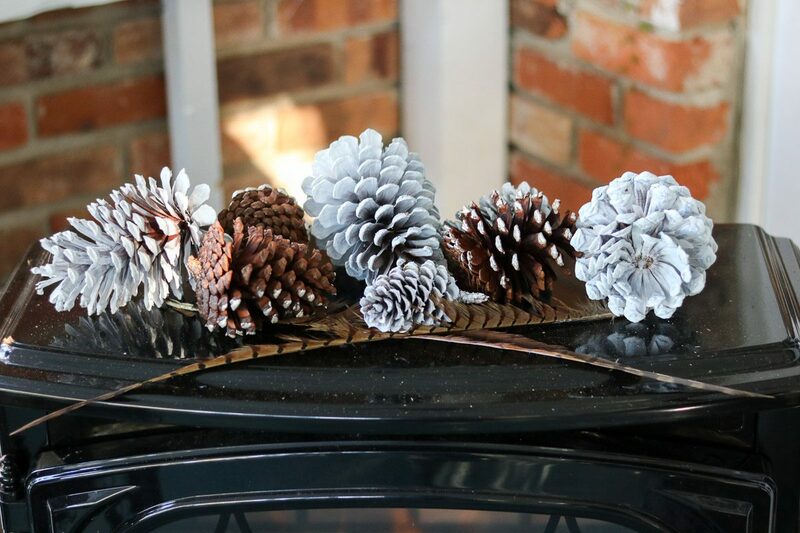 And for fun we painted some pinecones to decorate the top along with a few feathers to finish the look. 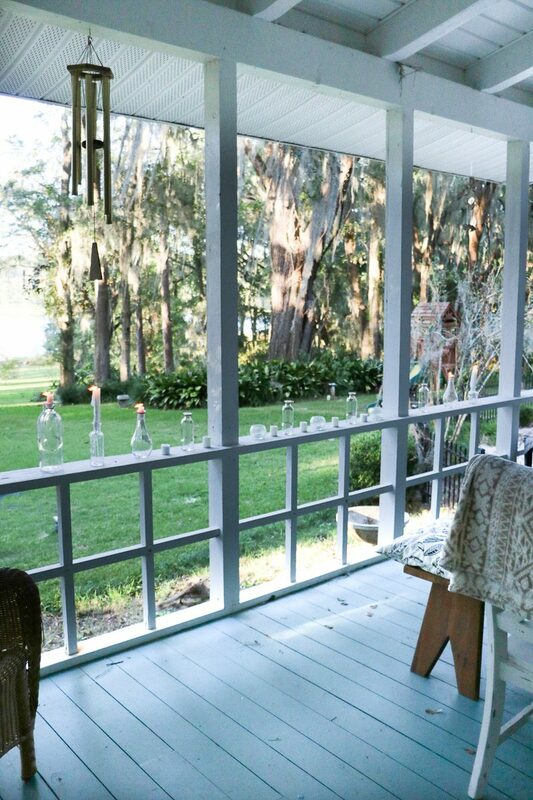 Another fun element to our outer seating areas are these jars and cotton. 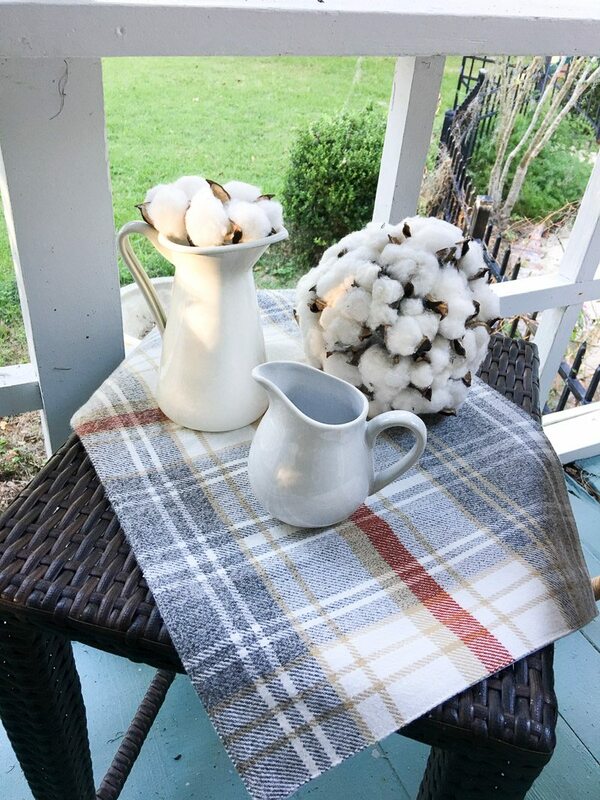 Previously we talked about how cotton is the popular fall decor this year. So we had to add it into the equation along with some fall inspired plaid. Every dinner should have some candles somewhere so instead of placing them on the table we added them to the railing. It is one of the most important elements to creating hygge. 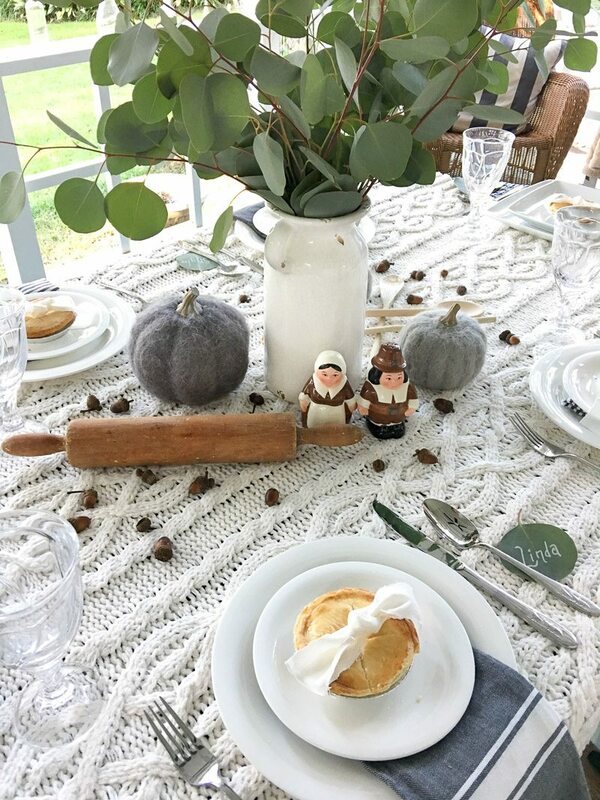 Let’s go back over some details to creating a hygge thanksgiving table. 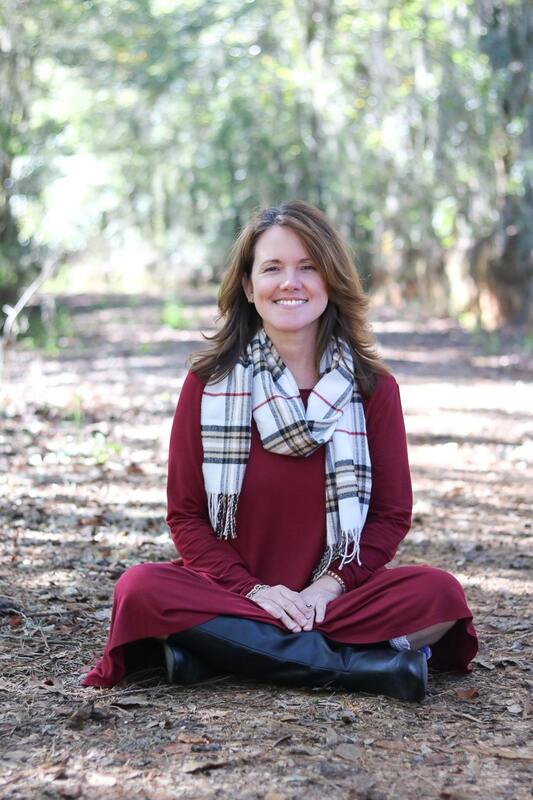 Remember hygge is all about enjoying life with family and friends. It’s about a warm feeling that is cozy and comfortable. So to create a space that is pretty but instantly says this will be a night to remember. What is your favorite element of the Thanksgiving design? Thank you for your sweet comment. It’s who is around your table that is the most important!